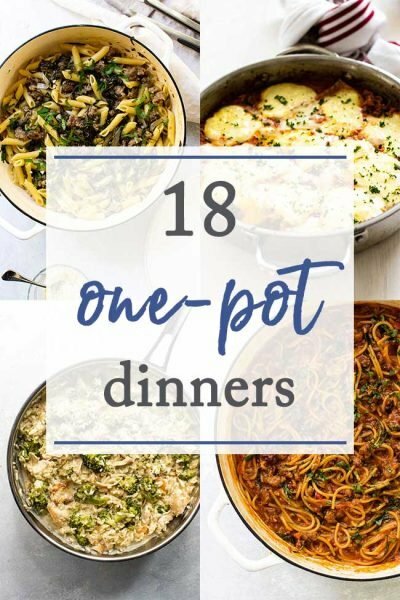 We always need more easy recipes and here you’ll find one-pot recipes, easy pasta recipes, dinners that go from the oven to the table in record time, and other deliciously easy ideas to shake-up your weekday dinner rotation. 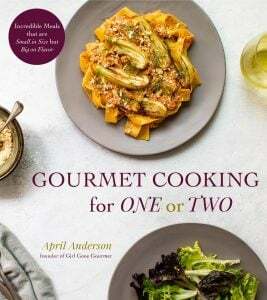 I hope you find some new recipes to try! 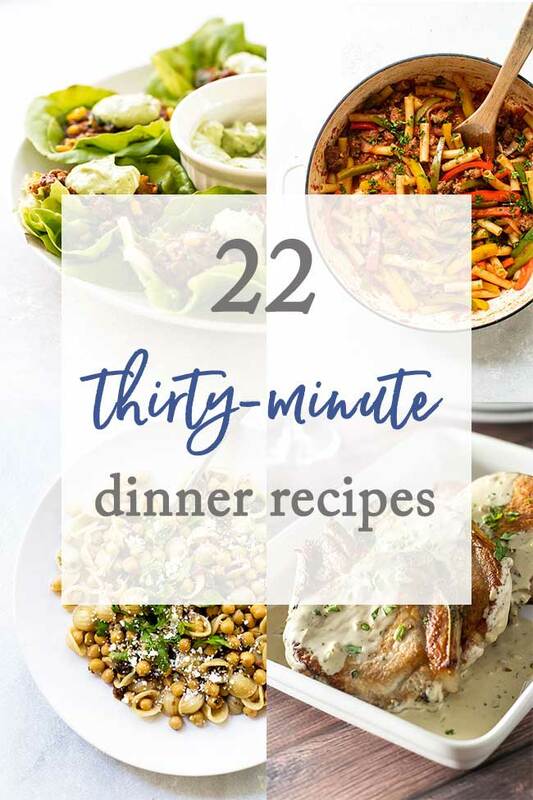 Click on the photos or recipe titles to get more details about these 30-minute dinner recipes! 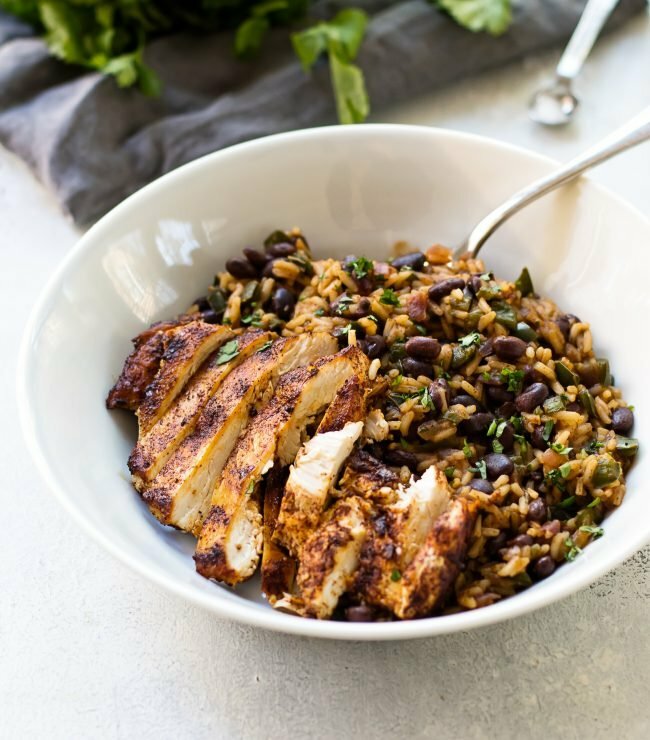 POBLANO BLACK BEAN RICE AND CHICKEN BOWL – Girl Gone Gourmet |Solo night in? This easy chicken bowl with black beans and rice is easy to whip up on a weeknight. 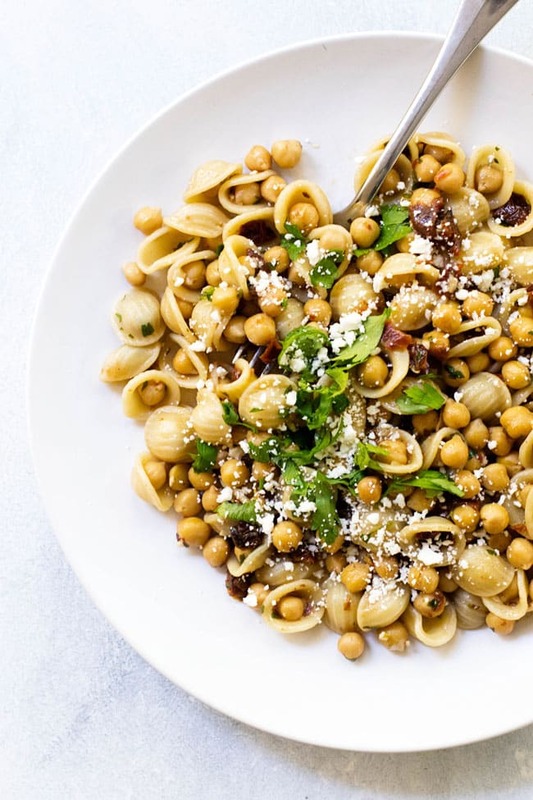 ORECCHIETTE WITH CHICKPEAS AND FETA – Girl Gone Gourmet | This simple pasta serves two and in the time it takes to boil the pasta the whole dish comes together. The garlic, chickpeas, and sun-dried tomatoes are warmed in the olive oil as the pasta is cooking. From there, the pasta is added to the pan and tossed with some lemon juice, fresh parsley and garnished with crumbled feta. 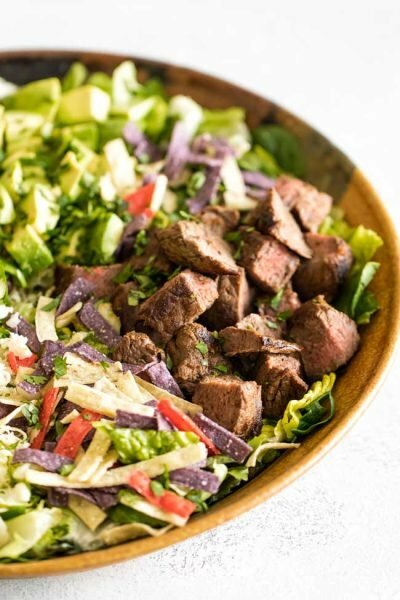 THAI BEEF STIR FRY – Platings and Pairings | Stir fries are a great way to get dinner on the table fast, but sometimes they can be so boring. 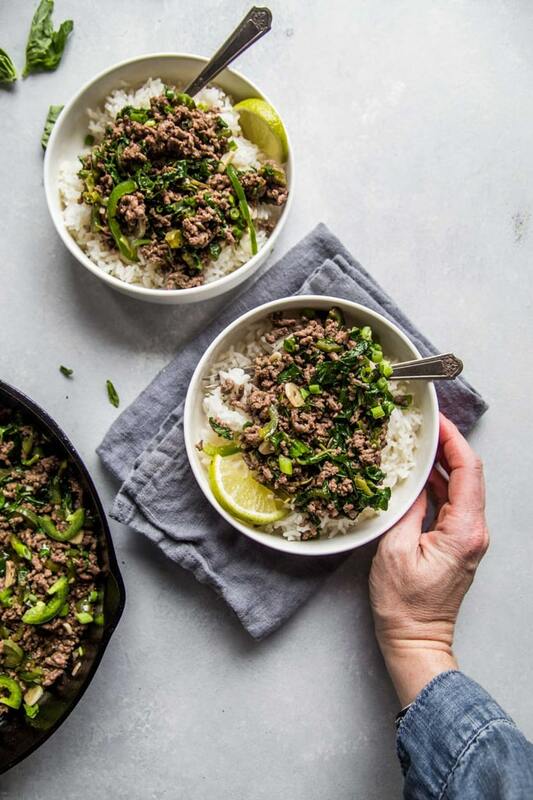 I love this totally not-boring beef stir-fry with spicy chiles and fresh basil. 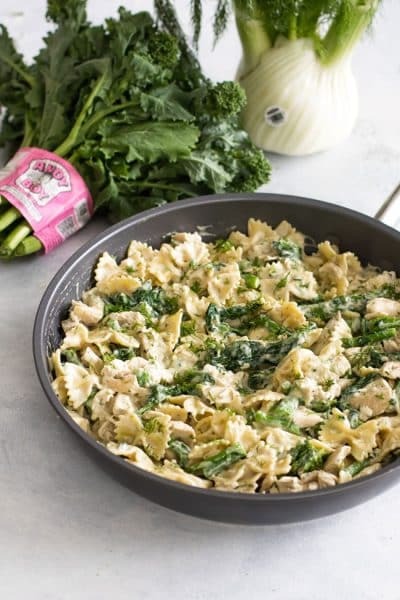 It calls for simple ingredients and is so quick to make you’ll turn to it again and again for an easy weeknight dinner. 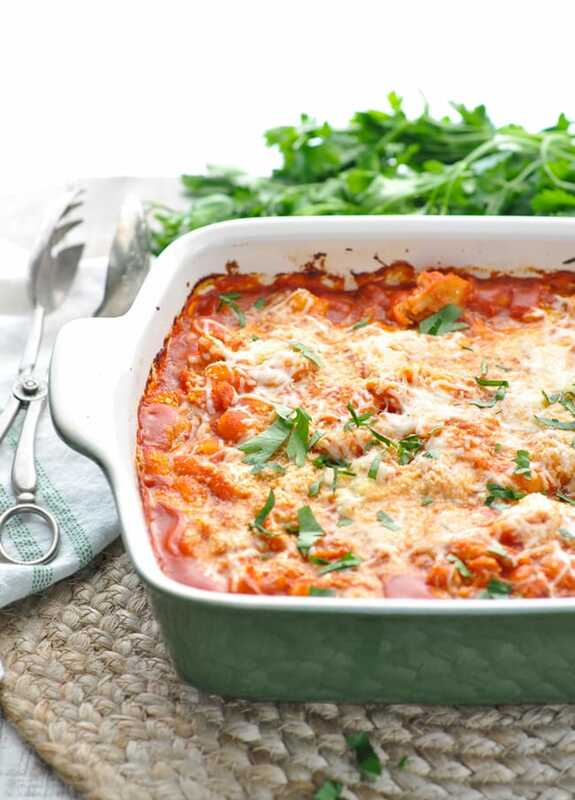 CHICKEN MARINARA GNOCCHI – The Seasoned Mom | It doesn’t get any easier than this no-prep aka dump-and-bake chicken marinara gnocchi! 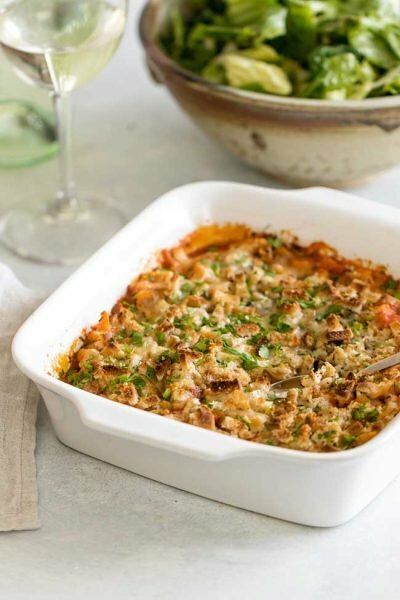 Seriously, all you need to do is combine the ingredients in a baking dish, pop it in the oven and 20 minutes later you get a warm and cozy dinner perfect for busy weeknights. 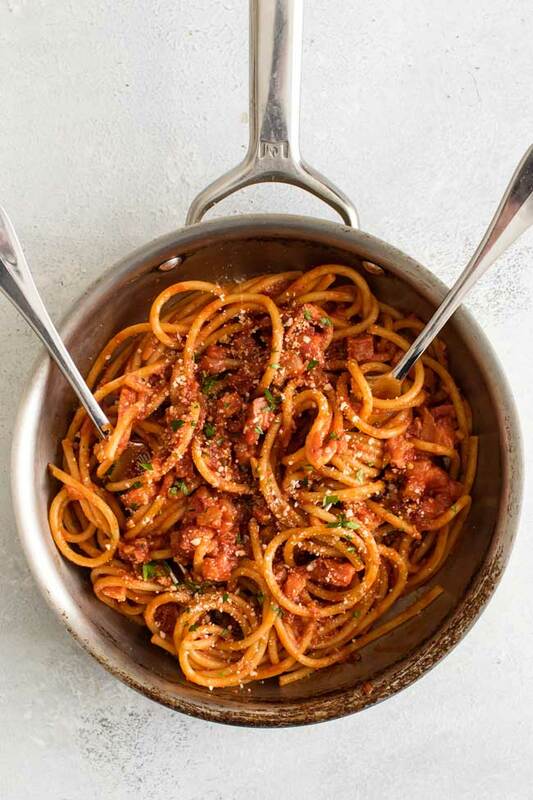 BUCATINI ALL’AMATRICIANA – Girl Gone Gourmet | Tender pasta tossed in a simple-to-make spicy tomato sauce with pancetta. This 20-minute dinner is a go-to weeknight dinner. 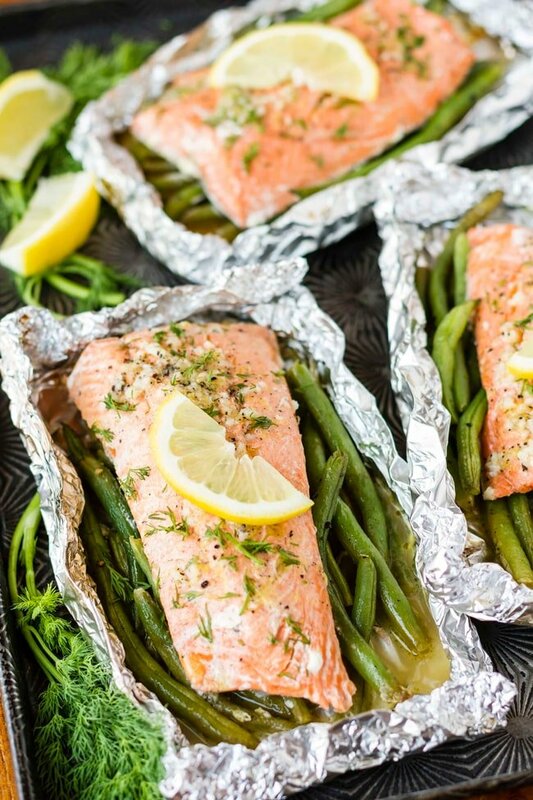 GRILLED SALMON IN FOIL – Unsophisticook | Main dish and side dish wrapped up together in foil and baked. This is an easy clean-up and good-for-you 30-minute dinner that packs a lot of flavor. 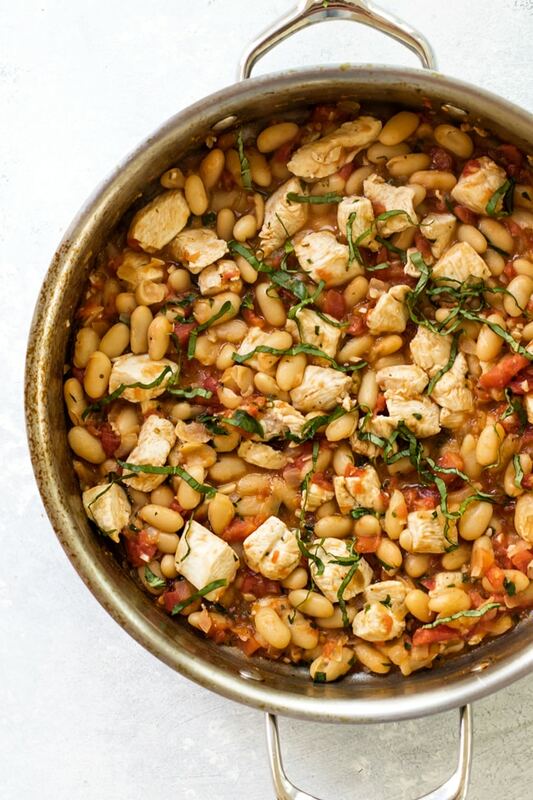 TUSCAN-STYLE CHICKEN SKILLET – Girl Gone Gourmet | This easy chicken skillet is full of Tuscan-inspired ingredients like cannellini beans, fresh herbs, white wine, and tomatoes. It’s a one-pan 30-minute dinner that’s light and fresh. 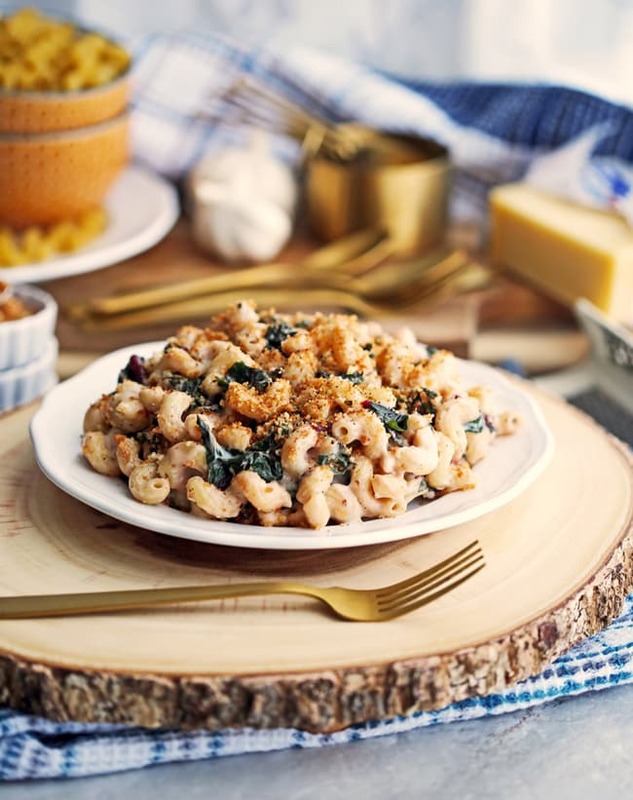 CREAMY GRUYERE AND SWISS CHARD PASTA – Yay for Food | This is basically a simple stovetop mac and cheese amped up with hearty swiss chard and topped with toasted breadcrumbs. The gruyere cheese sauce looks so creamy and decadent! ITALIAN SAUSAGE AND PEPPERS PASTA – Girl Gone Gourmet| 30-minute Italian sausage and peppers pasta loaded with fresh bell peppers, onion, and savory sausage. 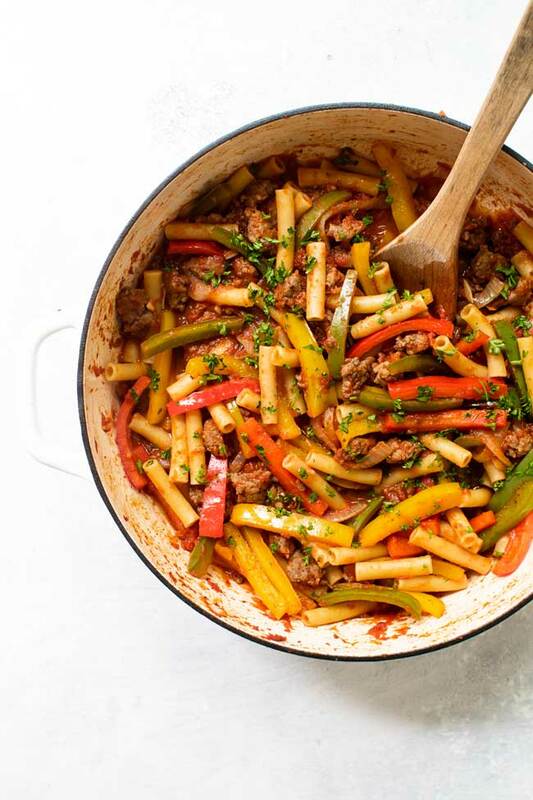 This is a quick and easy dinner idea inspired by traditional sausage and peppers recipes and is full of fresh flavor. 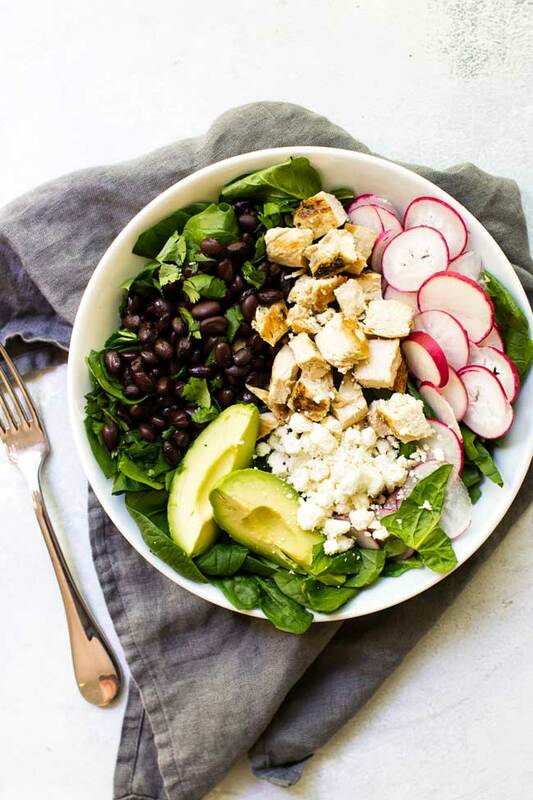 CHICKEN & BLACK BEAN SPINACH SALAD – Girl Gone Gourmet |This salad is a great way to use up leftover grilled chicken. Toss it with spinach, black beans, radishes and a simple lime vinaigrette for a light dinner on a busy night. 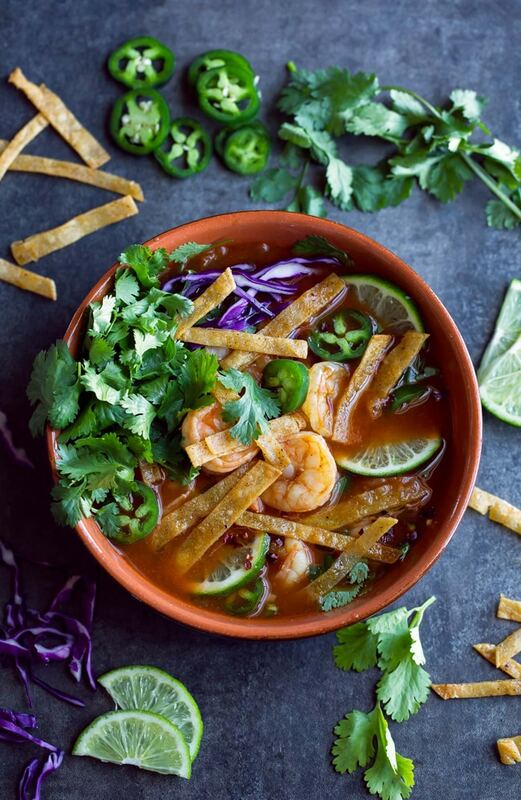 SPICY SHRIMP TORTILLA SOUP – Peas and Crayons | I love this twist on chicken tortilla soup! It only takes 30 minutes and is full of fresh flavors like jalapeno and cilantro and topped with crispy tortilla strips. 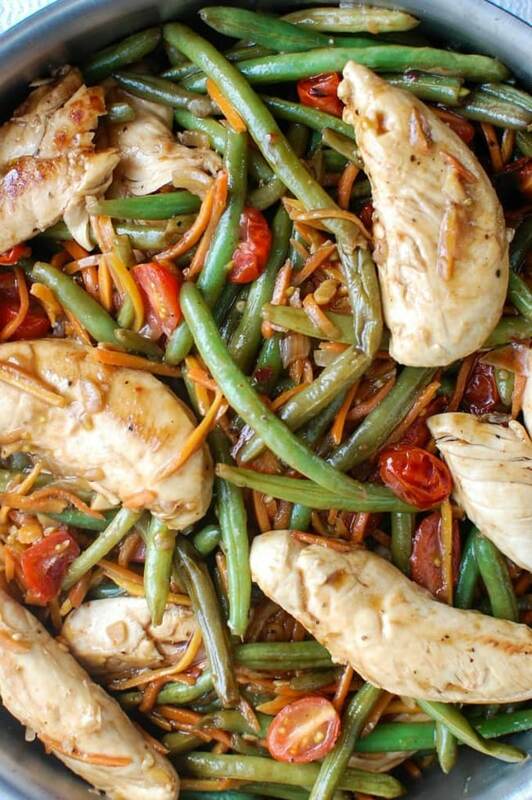 ONE-POT BALSAMIC CHICKEN AND VEGETABLES – A Cedar Spoon | It goes without saying that a one-pot recipe is a weeknight dinner hero. I love all the fresh flavors in this balsamic chicken one-pot dinner – serve it as is or add some pasta or rice to serve on the side. 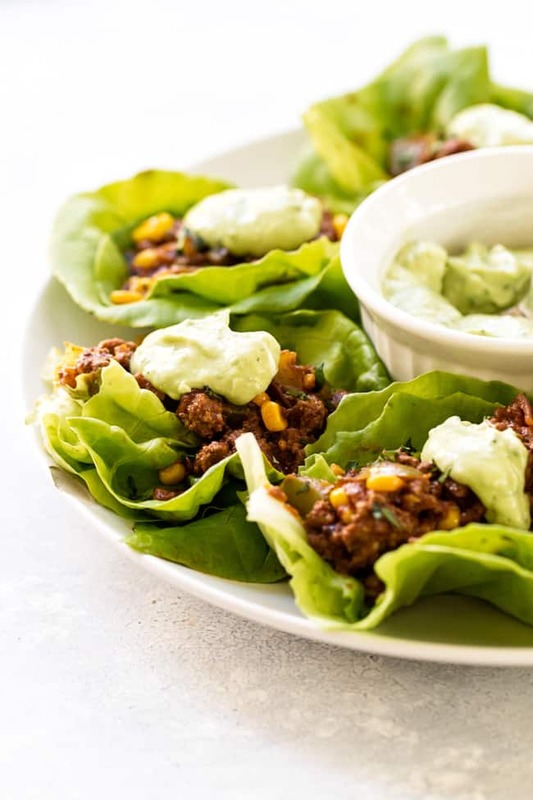 CHIPOTLE BEEF LETTUCE WRAPS – Girl Gone Gourmet | A savory taco-style filling made with beef and spicy chipotle peppers wrapped up in tender bibb lettuce and topped with a creamy avocado sauce. These chipotle beef lettuce wraps are how I like to do taco night without the tortillas. 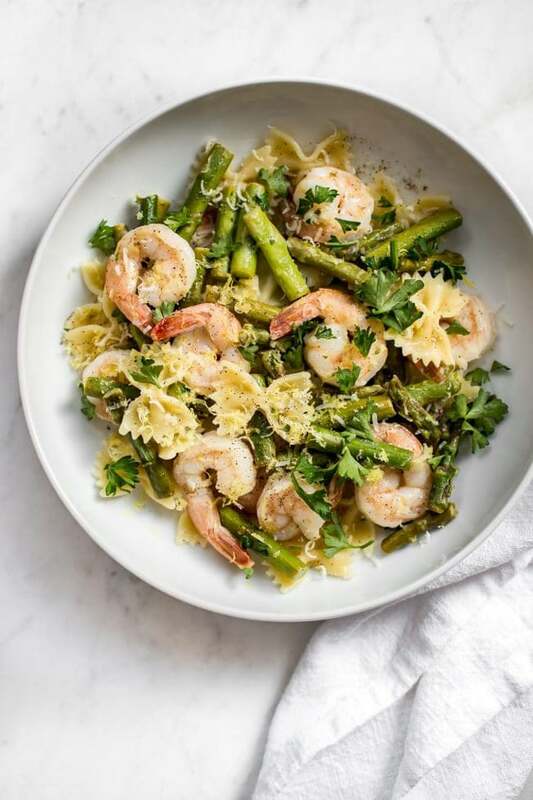 HEALTHY SHRIMP AND ASPARAGUS PASTA – Salt and Lavender | Full of lemon, shrimp, and asparagus this light and fresh pasta dinner is ready in less than 30 minutes! 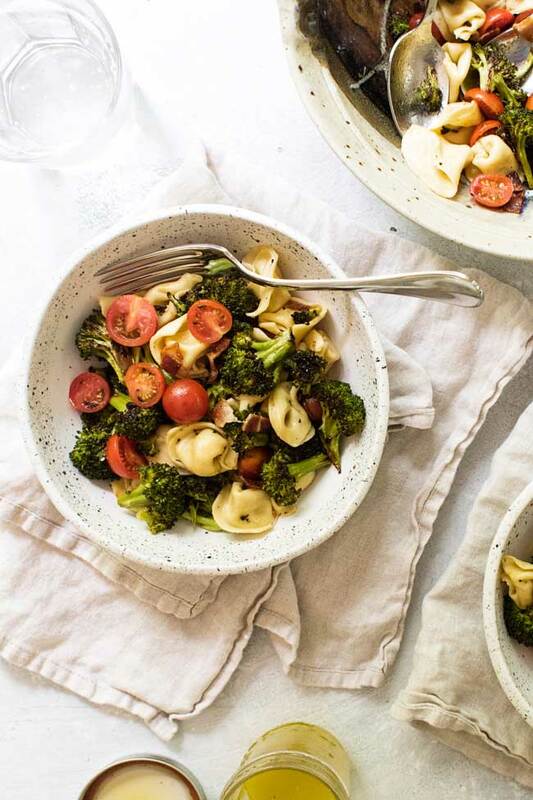 TORTELLINI PASTA SALAD WITH ROASTED BROCCOLI – Girl Gone Gourmet |Tortellini pasta salad with roasted bacon broccoli, fresh cherry tomatoes, and a lemon dressing is a light dinner for two. Learn how to make it including an easy way to add a subtle taste of garlic without all the chopping and mincing. 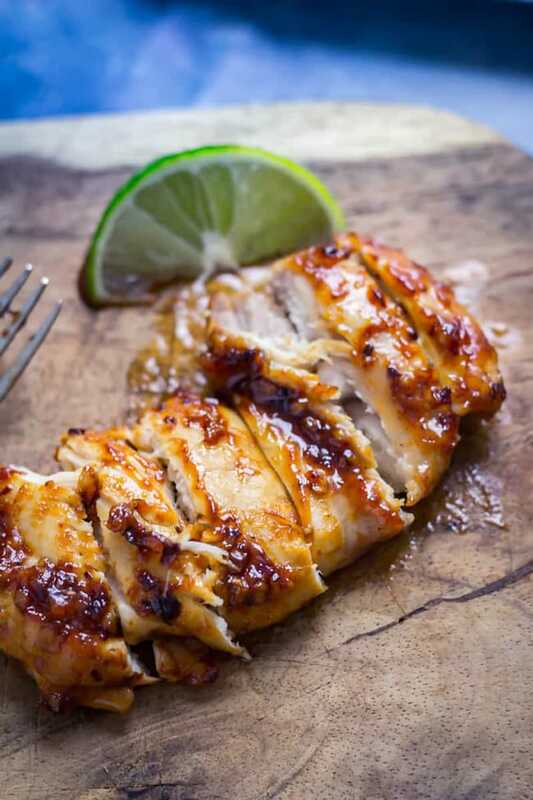 HONEY-CHIPOTLE CHICKEN – The Cook Report | If you’re tired of the same-old boneless, skinless chicken breast try switching things up with some chicken thighs. They’re flavorful and cook just as fast as chicken breasts. 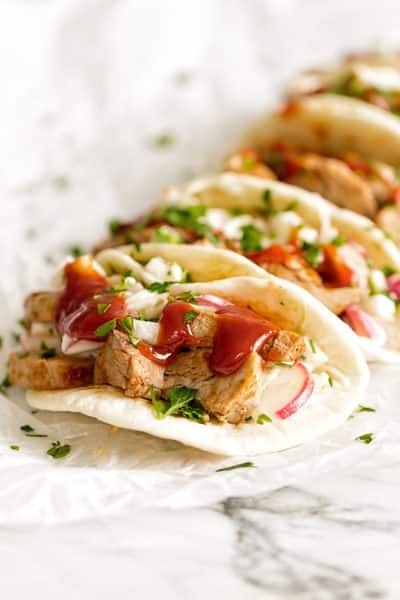 Coat them in some honey-chipotle glaze and you might find yourself making them every week. 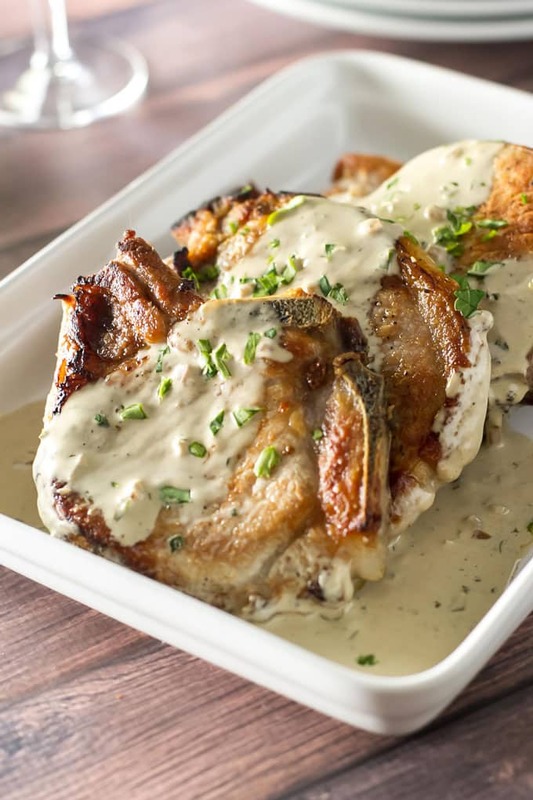 OVEN ROASTED PORK CHOPS WITH MUSTARD SAUCE – Girl Gone Gourmet | In the time it takes to roast the pork chops you can make the creamy mustard sauce to pour over the top or serve on the side. This is my favorite kind of dinner – looks like it took a long time, but dinner is ready in 30 minutes! TUSCAN FISH WITH CANNELLINI BEANS – Beyond Mere Sustenance | Another Tuscan-inspired dinner, but this time with some white fish. 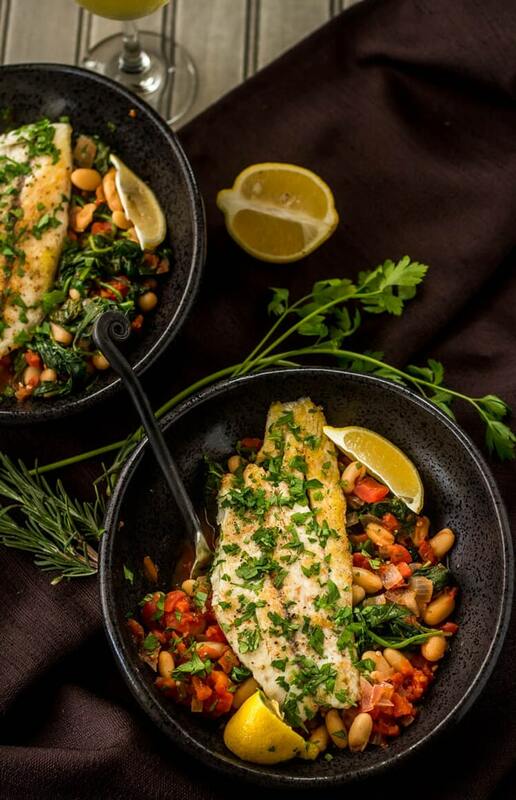 Fish is a great weeknight dinner because it cooks very fast on the stove – add some creamy white beans, tomatoes, and fresh herbs and you get a fresh and healthy weeknight dinner. 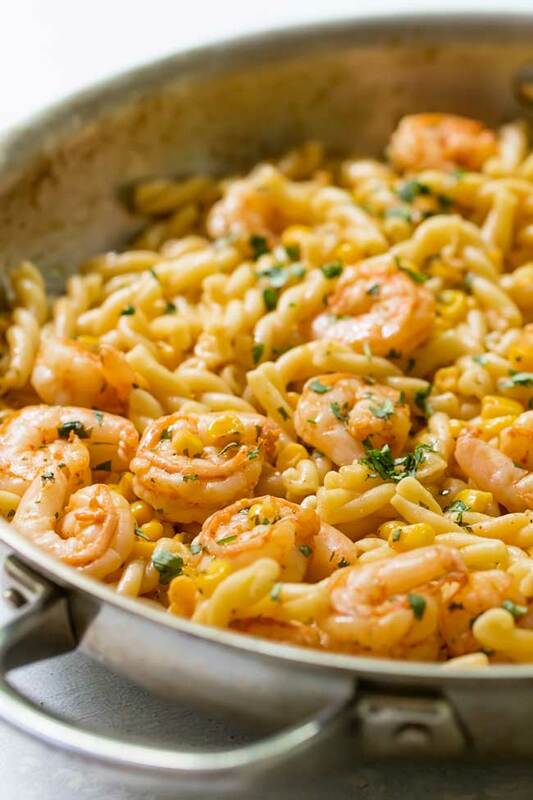 CILANTRO-BUTTER SHRIMP PASTA – Girl Gone Gourmet | Pasta tossed with chili-spiced shrimp and corn in a cilantro-butter sauce – it’s fresh, summery, and a twist on traditional shrimp scampi. 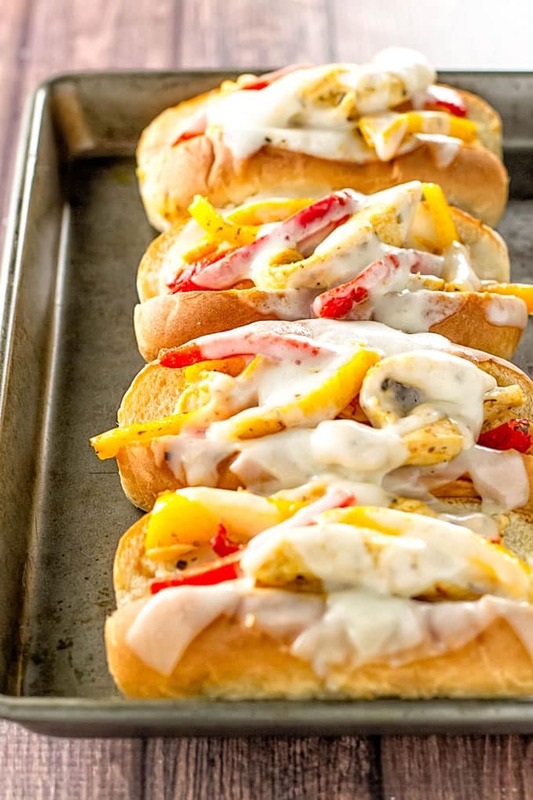 CHICKEN AND PEPPERS ON SOFT ROLLS – Girl Gone Gourmet | This chicken and peppers recipes is one those that you can turn into a few different dinners. I like to pile the chicken and peppers on soft rolls, but you can also serve them with pasta, rice or all on their own for a simple and light dinner. 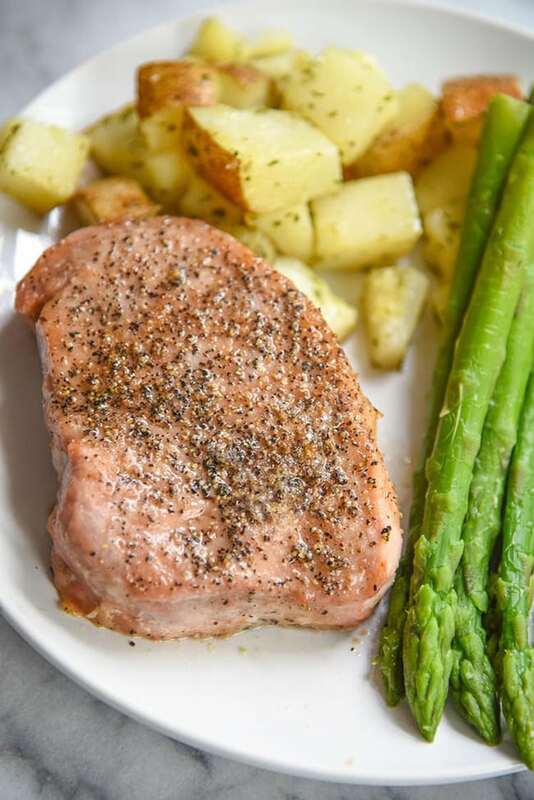 BROWN SUGAR PORK CHOPS – Courtney’s Sweets | You only need three (!) ingredients to make these pork chops! Cook them on the grill or in the oven – either way, you get a juicy pork chop with a sweet and savory crust. 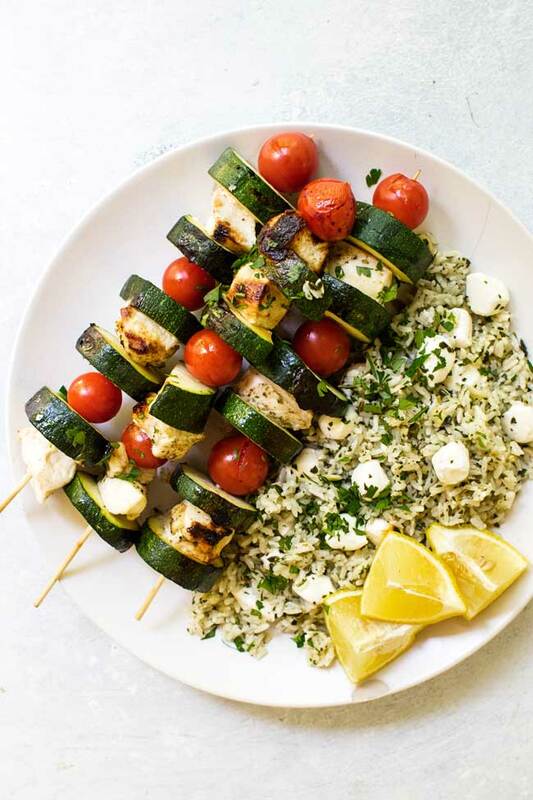 Chicken marinated in lemon and garlic threaded on skewers with fresh zucchini and tomato cherries. Serve them with simple pesto rice for an easy to make and a delicious light dinner for two . I cannot wait to dive into these! Such a fantastic round-up – thanks for featuring me!